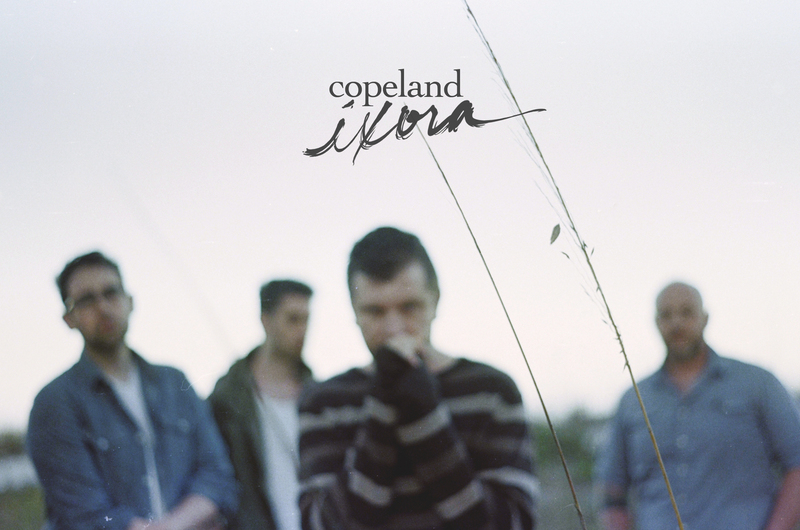 Listening to Copeland’s new album Ixora, you wonder if Aaron Marsh is making a promise to you. It has been six years, after all, since the re-united band’s last album, You Are My Sunshine. Now all your tears that have fallen will never show. I can make you feel young again. Since you came along my days are ordinary. Then came “Disjointed,” a second single. It’s got the more familiar feel of Copeland’s Eat, Sleep, Repeat, and the band feels totally on their game here. On Ixora it’s track 2 after the gentle opener of “Have I Always Loved You?” It’s Copeland at their best–electric guitars, hypnotically beautiful piano, strings, tight bass, and drums with carefully produced tone. By the time I came to the full album, I might have been hoping for too much. My first few listens left me wanting more of the transcendent moments of “Erase” and “Disjointed,” and less of the production decisions that led to the lead guitar tone at 0:34 of “I Can Make You Feel Young Again.” It calls to mind the first guitar notes of Sarah McLachlan’s “Sweet Surrender” much more than anything you’d expect from Copeland. (Though I do love “Sweet Surrender.”) The song “Lavender” felt more like it could have been a Peter Gabriel cover on Copeland’s Know Nothing Stays the Same. And “Chiromancer” has been for me the rarest of Copeland tracks that I’m likely to skip on future listens. But maybe those are just the kind of inevitable “ordinary” moments that Marsh sings about. Ixora has grown on me, after all, even as an unremarkable daily routine can become comforting. And there are other standout tracks besides “Erase” and “Disjointed.” What I really love about the opening track, “Have I Always Loved You?”, is that the band eases in, instrument-by-instrument, as if they’re coming back from behind the stage one-by-one to play an encore an adoring audience didn’t think they’d actually get. Is this Copeland’s best album to date? I still think Eat, Sleep, Repeat holds that title. Ixora has some of the unevenness that I thought characterized You Are My Sunshine, but this album holds together better. And I will probably listen to it another 20 times next week, too. Copeland is an inspiring band; they bring the listener up with them into moments of transcendence in a way that few other bands in their genre do. I’m thrilled that they’re back together, and hope that Ixora is just the beginning of many more Copeland albums to come. 8.5/10. You can get Ixora on iTunes and Amazon this coming Tuesday. Thanks to Big Picture Media for the pre-release stream so I could review the album before my iTunes pre-order arrives. Exactly! I’d love to hear your thoughts on how it grows on you. For me it’s been taking over my life more and more with each listen. I’ve ended up focusing on one new song at a time, listening to that one dozens of times in a day. Being able to do that and still want more and more of it makes me remember why I’ve always lifted Copeland above all the other bands I like. They make songs worth obsessing over. Thanks for the comment! Yes, it has grown on me further. Although I continue to be frustrated with some of the production decisions. I can’t remember hearing a flat vocal on previous Copeland records and that is noticeable in a couple of spots here–I wish they’d caught it. But they have a great sound, and the same standout songs I mention in the review have gotten even better in to me with repeated listens. I hope they stay together for at least another album. I’m hoping they stick together for a while, too.